"The Psychologist" Psychological Counselling Center Chennai - Panruti - Pondicherry: HOW WOULD YOU LIKE TO BE REMEMBERED? About a hundred years ago, a man looked at the morning newspaper and to his surprise and horror, read his name in the obituary column. The news papers had reported the death of the wrong person by mistake. His first response was shock. When he regained his composure, his second thought was to find out what people had said about him. The obituary read, "Dynamite King Dies." And also "He was the merchant of death." This man was the inventor of dynamite and when he read the words "merchant of death," he asked himself a question, "Is this how I am going to be remembered?" From that day on, he started working toward peace. 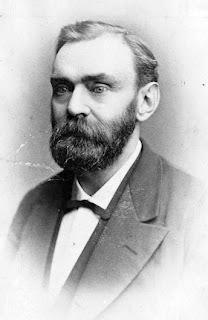 His name was Alfred Nobel and he is remembered today by the great Nobel Prize.